Lindsley Brooks is a feng shui practitioner who specializes in residential and fashion feng shui. She works with people looking to bring beauty, consciousness, and harmony to their living space, personal style, and lives. 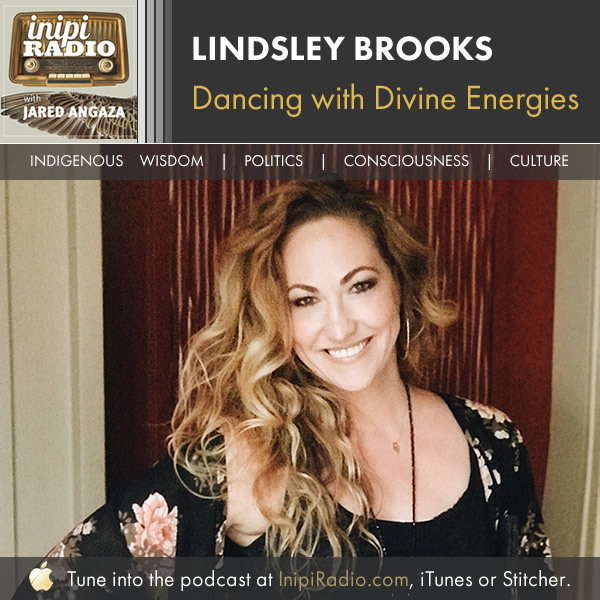 Lindsley is passionate about sacred living: being intentional about everything you do – from what you wear, to what you bring into your home, to what you put in your psyche. She incorporates her experience and training in divine feminine studies, psychology, spirituality, reiki, astrology, kinesiology, yoga, artistry, makeup artistry and personal styling. In all of her work, she has one overacting goal; to help you live in alignment and congruence with your true nature. Lindsley is family to me. We’ve been best friends since we were about 15 years old. Her Divine Intuition and sensitive have had a tremendous impact on my life, and it’s an absolute honor to have her on the show today. This has been a long time coming. Lindsley started learning about energy in general, and then looked more into how it shows up in people’s lives, and even more specifically in spaces. Now she helps people feng shui their life, their fashion, their home, and any other area that people feel the energy is off or somehow needs attention. How do we bring these energies (masculine and feminine) into harmony? We don’t necessarily want equal portions of these energies. Perhaps we are looking to harmonize them. We live in a patriarchal society, which implies that we are lead by the masculine. As where matriarchy would be the opposite. However, there are more layers than that. This is where we dive into the discussion about the Divine Masculine, False Masculine, Divine Feminine, and False Feminine. False Masculine - controlling, dominate, take what I want when I want it. False Feminine - feminist (in its false self), demonization of the masculine, however tending to be operating in a more (false) masculine way. Divine Feminine energy raises the intuition and connection. There’s a rise in the desire for the Divine Masculine because we’re trying to figure out how to be here, and be more connected. How do we actually create positive change? Patriarchy and a False Masculine society has lead us to be scared of the Divine Feminine, and to believe it is weak in a physical world. We’ve made God into a male, masculine figure. The original ichthys (fish symbol) is actually the fisca picis. When the two Divine Energies are aligned, they create the almond shape in the middle. It represents the third entity, which is the Christ consciousness. When Mary anointed Jesus’ feet, it was actually a ritual to was about anointing the “peaceful king”. Judas was angered that he was the peaceful king because he believed Jesus was going to overthrow the empire, rather than choose to allow himself to be sacrificed. Jesus’ message was really about choosing love over all that stands against it. And that means resisting violence at all costs, even if it kills you. (Jared) Our violence killed Jesus. He died because of our sins, rather for them. He was killed as an activist, an enemy of the state, trying to create an awakening of the soul. When you’re operating in too much of the feminine, sometimes we forget to take care of ourselves. The masculine calls us back to self-care. And the two together, in harmony, can spur us towards self-actualization. Masculine energy is more about embodiment. It spurs us towards our physical and mental health. “How we do anything is how we do everything.” - Rob Bell. Asking whether or not we need a patriarchy or matriarchy is sort of missing the point. These are sociopolitical systems that should be the result of harmony between the masculine and feminine energies. Even things like natural disasters can be a sign of the universe reaching out to help you come back into alignment. Ultimately, we need to understand these two energies. We need to study them and find out how they affect. When we know how nature and the earth work, we can start to understand how we work.